A TEAM representing the best and brightest from the one-make Porsche Carrera Cup Asia Championship looks set to enter the 2018 Liqui-Moly Bathurst 12 Hour. Australian media has revealed today that the champion of the Asian series and the Pro-Am class winner will be joined by the top Porsche China junior driver and Aussie Paul Tresidder, who competes in the championship, in a Class B Porsche GT3 Cup Car at the 2018 event. Always closely fought, the Class B is the domain of the one-make series GT3 Cup Cars and has always featured close and competitive competition. 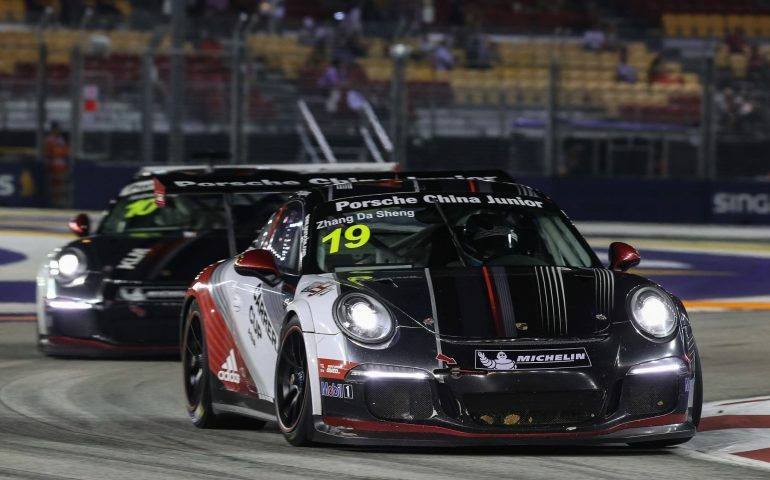 “The good thing about Carrera Cup Asia is that each year they give the opportunity to a couple of the drivers to drive aboard,” current series leader Chris van der Drift told Speedcafe.com. Van der Drift is one of several drivers from outside the Asian region competing in the event; including fellow Kiwi Will Bamber and Austrian, Martin Ragginger. The Kiwi leads Ragginger by one point in the championship ahead of the next round, set for early October. “In 2015, Yuey Tan and myself went to Spa and raced against the Italian, French and Scandinavian Carrera Cup drivers. “For me, it would be an added bonus (to earn a Bathurst 12 Hour start) because I would like to be champion no matter what, but I would never turn down an opportunity to race back at Bathurst. The advent of the Carrera Cup Asia team will see a face-off with one of Carrera Cup Australia’s top outfits, Grove Racing, for class victory. The two-time class winning team confirmed recently that they are building towards running their 991-generation GT3 Cup Car with Stephen Grove driving with son Brenton and a yet-to-be-named Pro driver in a bid for a third 12-hour class crown. Entries for the 2018 Liqui-Moly Bathurst 12 Hour close on 15 December, while early-bird entries close this Saturday, 30 September. PHOTO: courtesy Carrera Cup Asia Facebook.